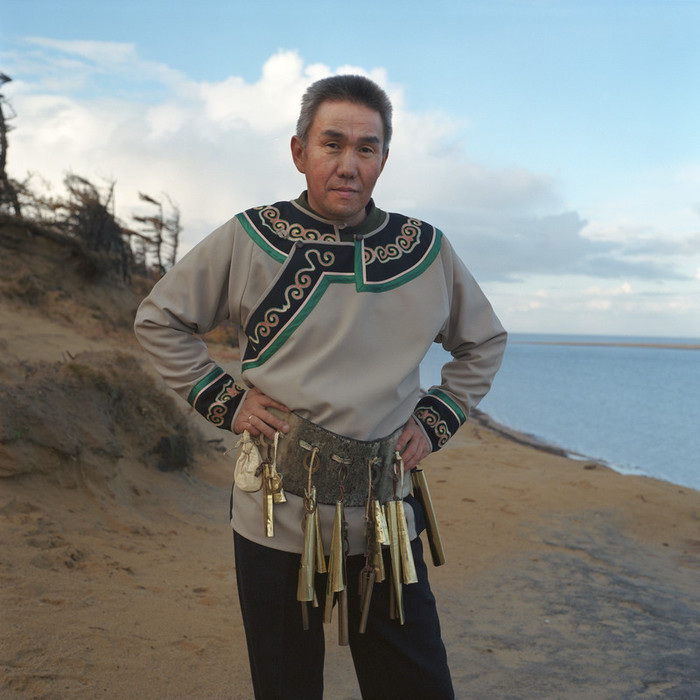 The Nivkhs and Uiltas are an indigenous ethnic groups inhabiting the northern part of Sakhalin Island and the region of the Amur River estuary in Khabarovsk region, Russia. Now their population is extremely reduced by difficult living condition, severe climate and alcoholism. In Soviet time their language and religion were forbidden, they had to change their names into Russian ones. Now American oli corporations, like Exxon Mobile, help to support life, traditions and crafts of the tribes. I made portraits of craft masters, working with wood, fish leather, bone, sewing and fur. 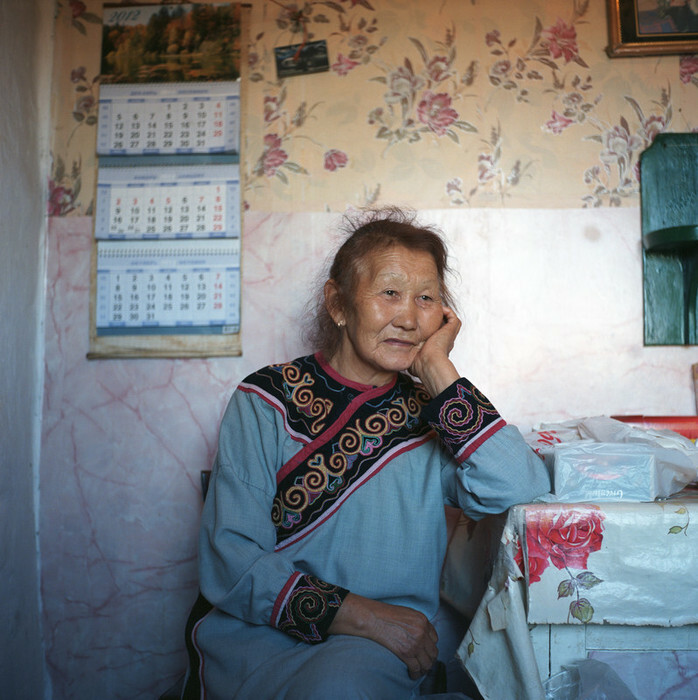 Nivkhs are the direct descendants of the ancient population of Sakhalin and the lower Amur. There is opinion that the ancestors of the Nivkh, North-East of Paleoasiatic, Eskimos and Indians are the parts of one ethnic chain covering the North-Western shore of the Pacific Ocean. Nivkh's and Uilta’s traditional religion was based on animist beliefs, especially on shamanism. All their beliefs are reflected in national crafts – wood figures, sewing, fish leather and fur outfit with traditional motives embroidery.